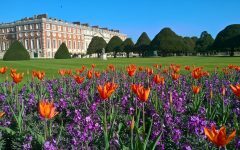 We are in the middle of one of our busiest times of the year on the East Front at Hampton Court Palace as we have 46 beds that need to be planted up with summer bedding displays. 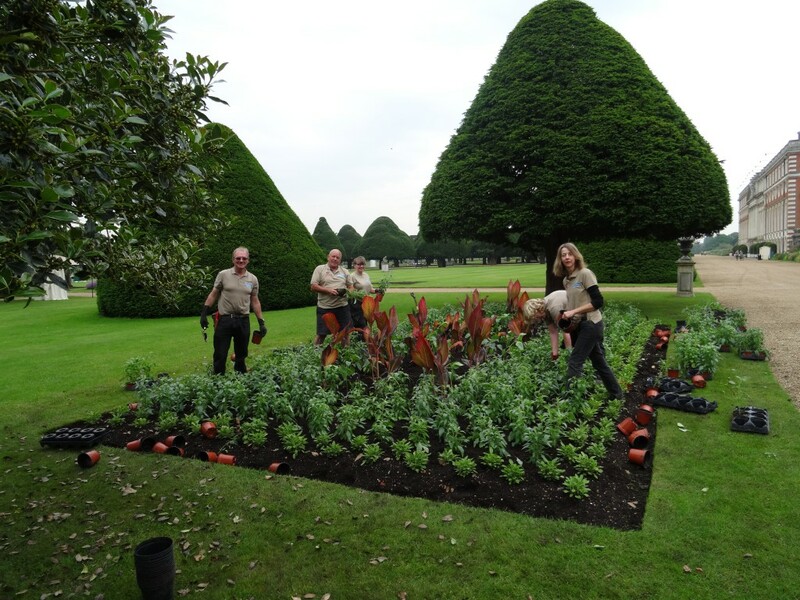 Although we have a great team working to get them finished, it is a balance between planting them and continuing with the regular maintenance at a time of the year when everything is growing like crazy. 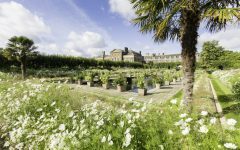 The summer bedding ‘season’ starts with the removal of the spent spring plants, such as wallflowers and tulips, which are taken to be composted in Home Park. 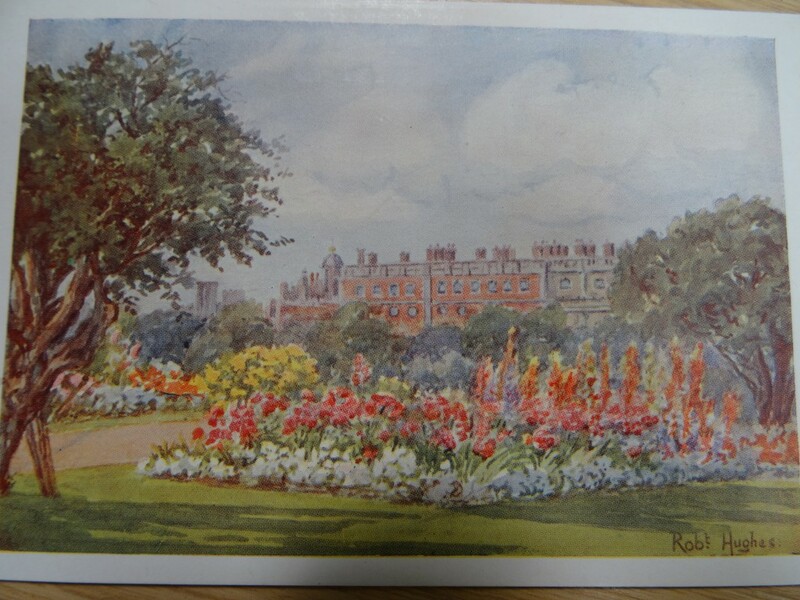 The beds are then prepared by rotavating, levelling and fertilizing. 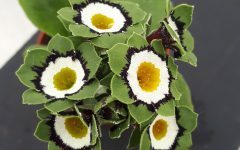 The designs are marked on the bed with sand or canes and string, and then with the help of the nursery, who dispatch the plants, we can begin to plant. 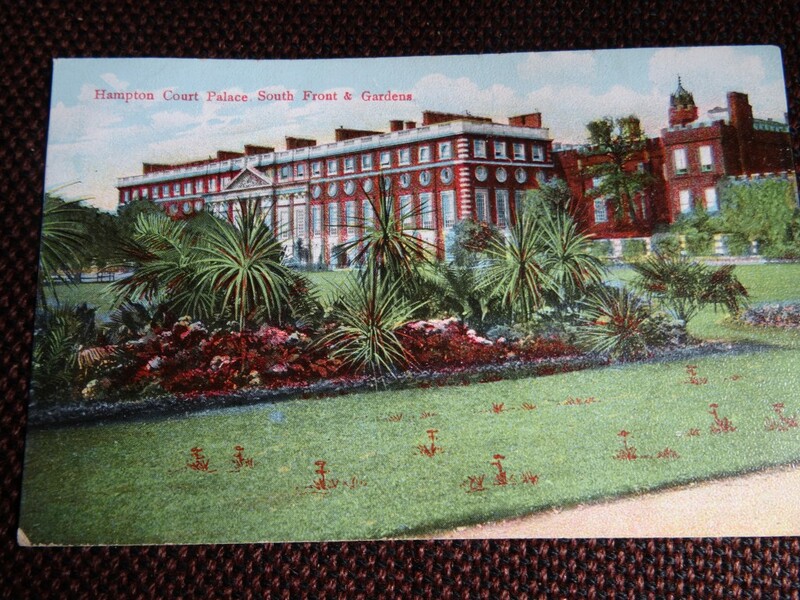 Old postcard of tropical bedding scheme with interesting collection of weeds in the grass!